Shai Cohen received his Ph.D. in Linguistics from the University of Massachusetts Amherst in 2009. He also holds a B.A. in Linguistics from Tel Aviv University. His dissertation, On the Semantics of Too and Only: Distinction and Subsumption, explores the conditions imposed by too and only on the context of utterance when they appear in different constructions. 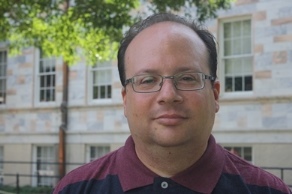 His research interests also include the semantics of counterfactual conditionals, the semantics of conditional interrogatives and presuppositions. Dr. Cohen taught Linguistics at the University of Massachusetts Amherst and Hebrew at Binghamton University. In his Hebrew classes he has striven to give the students opportunities to use language for a variety of purposes, among them asking for information, discussing poems, describing pictures and drawing conclusions.